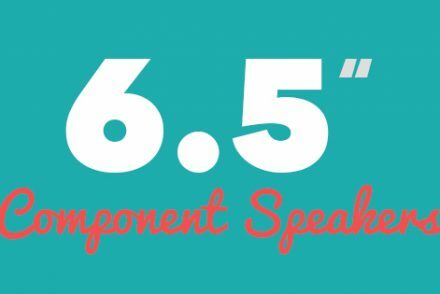 When most people think of upgrading their vehicle’s sound system, they think of upgrading the subwoofer. 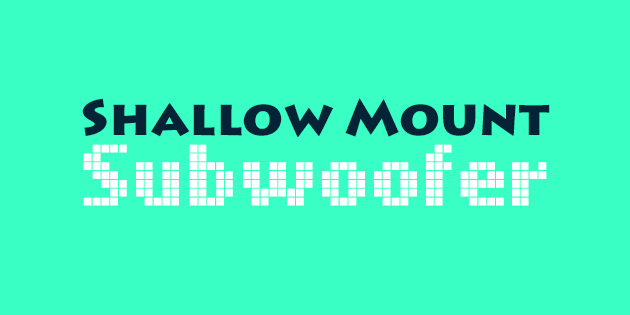 To get a solid, booming bass as you drive around town, a shallow-mounth sub will do miacles! In this article, we will cover some frequently-asked-questions about shallow-mount-subwoofers and we will even recommend 5 high-performing subs. Enjoy the article! Make sure to leave your comments and opinions down below! You might be stuck between choosing shallow-mount and normal subwoofers. Shallow mount subs are very easy to install, remove and reinstall in another vehicle. The flip side to this small stature is the risk of them being dislodged if not fixed firmly and securely. Assuming that you take time to carefully install shallow-mount subs, this shouldn’t be a problem. Another difference is that shallow mount subs have a reputation for the absence of HUGE bass. Believe me, they do kick; just not as hard as regular subs. However, there are multiple options in the market today which deliver some AMAZING bass and low-frequency reproduction for an affordable price. Shallow-mount subs optimally combine performance and a compact size, enabling small to medium cars to have a wonderful sound system without having to spend a lot of money on the speakers or the installation of the speakers. 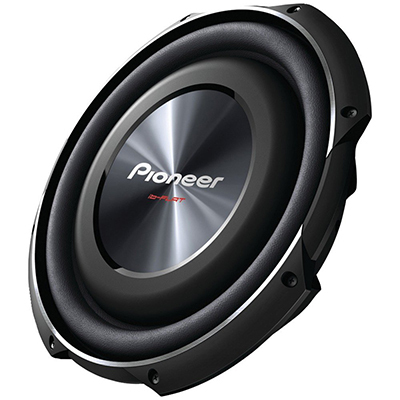 This article gives you 5 shallow mount subwoofers that will work epically in your vehicle. With a frequency response range between 20Hz to 125Hz, this device delivers a maximum power of 1200W and a nominal power of 300W. 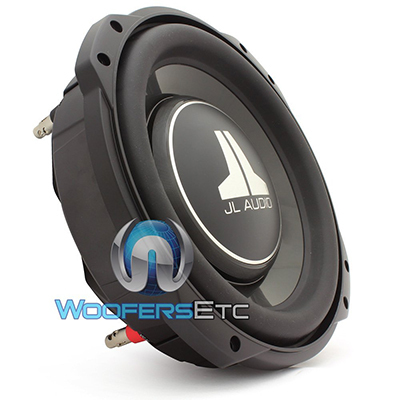 This shallow mount subwoofer has a compact design and delivers some tight bass. The cone-structure is constructed with reinforced MICA injection-molded resin. The device is securely carpeted and is non-slippery. It is covered in a scratch-resistant enclosure for added protection. 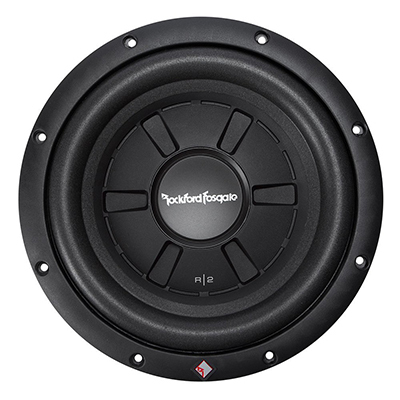 The Rockford Fosgate R2 Ultra is designed with inbuilt spider venting in a stamp-cast basket. The cone is made with MICA-injected polypropylene and has a mounting depth of 3.4ʺ. With a 400W power handling capacity, this device has 16 stitched AWG tinsel leads. 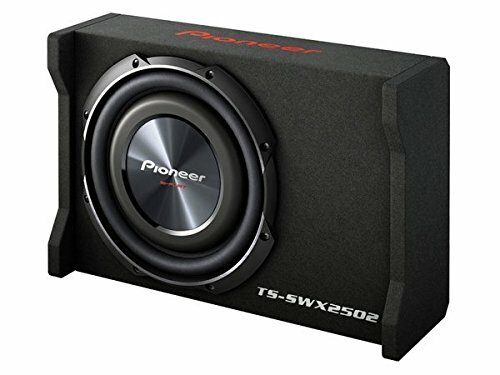 Ideally suited for small spaces such like the under-seat or the trunk of limited-space vehicles like the Jetta, Chevy Colorado and Ford Escape, this subwoofer is fitted with dual voice coils. This 1500W single four voice coil subwoofer delivers some great and clean sounds. The subwoofers fit snugly under the seats and removes any danger of distortion due to sudden movements is prevented. Even the power of one subwoofer is so good that it sounds like 2! The shallow-designed Pioneer Ts-sw3002s4 provides hard-hitting music despite its deceptively small size. Great for playing music of all kinds from old-school hip-hop to country, this device works and fits great for any small-made vehicle. This is a 10-inch Dual 4-ohm thin-line series subwoofers from JL Audio with a power-handling capacity of 100-400W. The cone structure is constructed with MICA-filled, injection-molded polypropylene and is surrounded with high-roll rubber for added sturdiness. The subwoofer is designed with a top-mount depth of 3-1/4ʺ. Delivering hair-raising sounds, the JL Audio 10tw3-d4 Shallow Mount Subwoofer is a beast sub that fits beautifully into tight spaces. Backed by JL Audio’s technical expertise, this device is designed to reproduce great music that is bound to leave you amazed. This DVC 2-Ohm subwoofer features an anodized aluminum cone. The stamp-cast basket is fitted with Flex Fit and inbuilt spider venting. 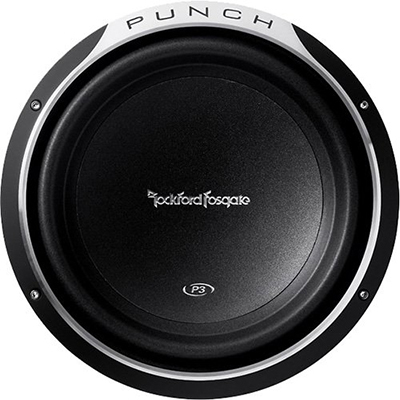 The Rockford Fosgate P3SD2-12 P3 Punch comes with Santoprene surrounded with Vertical Attach Surround Technique (VAST) to deliver that perfectly sounding music all around the vehicle. This amazing sub provides impressive performance and sound that is sure to astound you. It fits snug under the rear seat making it highly useful for space-constrained vehicles. The significantly bigger magnet holds the subwoofer firm and steady and prevents distortions even when driving on really bad surfaces. The sound effect is even better for metals. This device delivers loud and clear sound despite the seeming underperformance of the bass effect. Subwoofers, when designed and employed correctly, can provide you some amazing bass that will rock your vehicle for many years to come! When installed in the right place in your vehicle, you will be able to listen to music like never before. The pleasure of your driving experience will be multiplied when you make the right choice when it comes to subwoofers. Do browse through 5y3 favorite subwoofers listed above and let me know which of them suited you the best! Happy “subwoofing”!